People shopping at the Sophon Market are getting more than they pay for, in the form of road hazards posed by huge potholes. 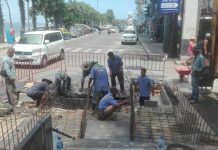 Merchants and residents near the Soi Land Department are calling on Pattaya City Hall to get road workers to their area as soon as possible to patch up a surface that has become a serious accident risk for motorcyclists. 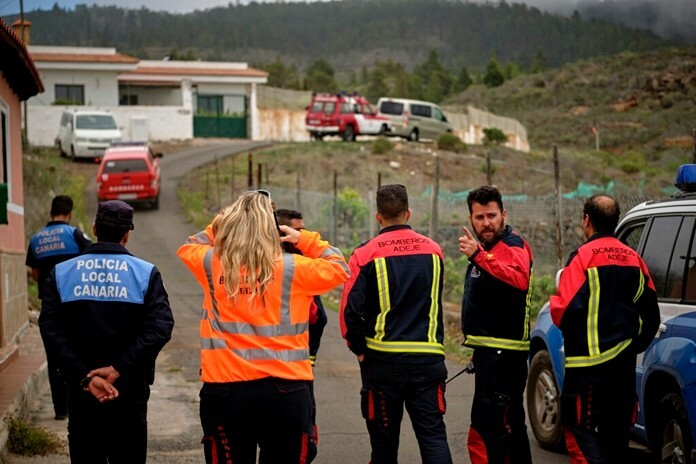 The city actually did come out early and patch up about four meters of road, but heavy trucks and flooding have undone the repairs. 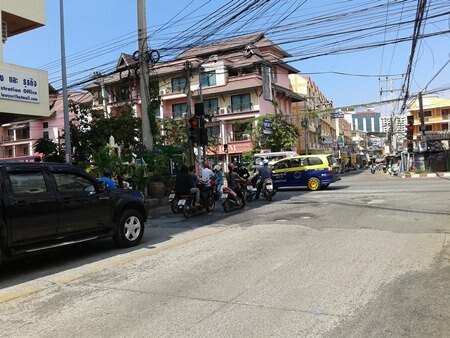 People commuting from Pratamnak Road on the Soi 17 side and Third Road must be careful while making a left into the side street. Those unfamiliar with the route or driving too fast fall into the holes by accident.